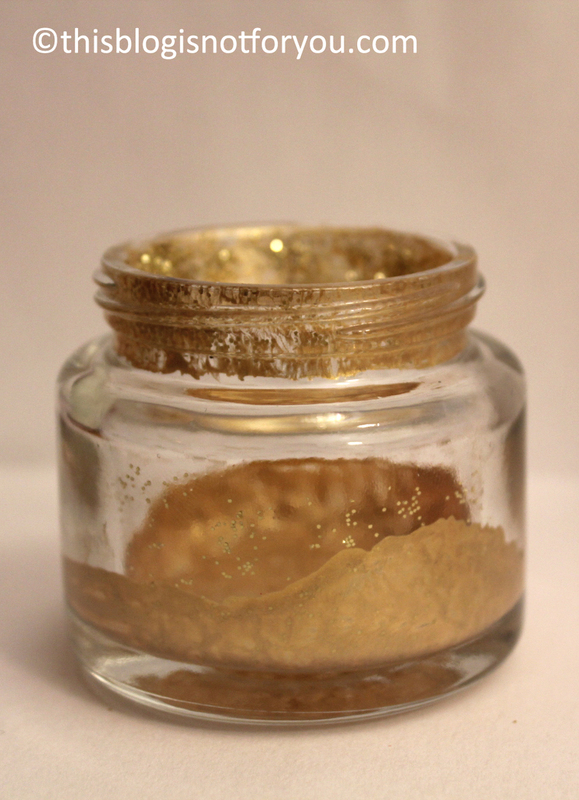 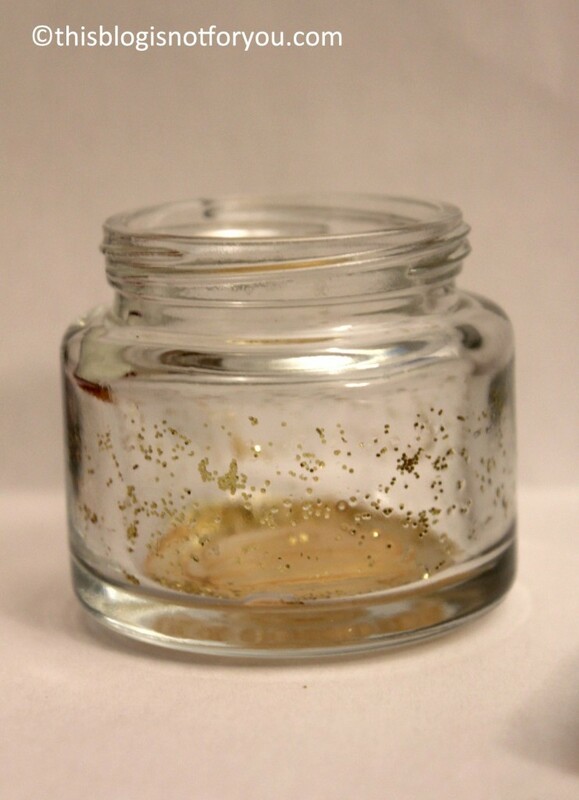 I spread the gold glitter with a wet brush, it’s fairly sticky so you won’t need glue (which would leave stains). 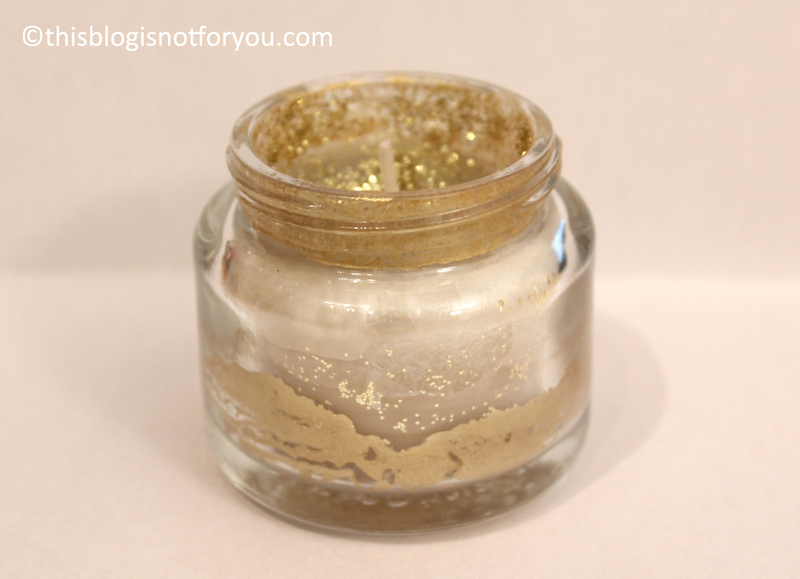 Then I painted the inside of the tin with glass paint. 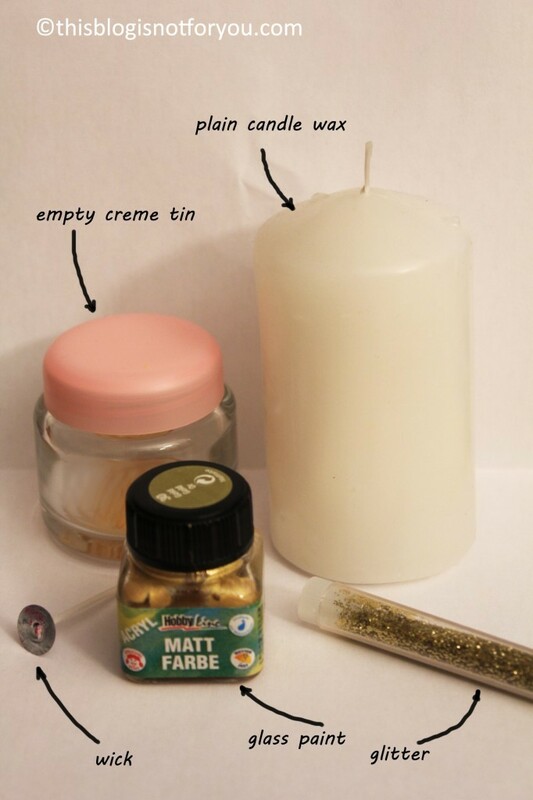 (I guess acrylic paint would work as well). 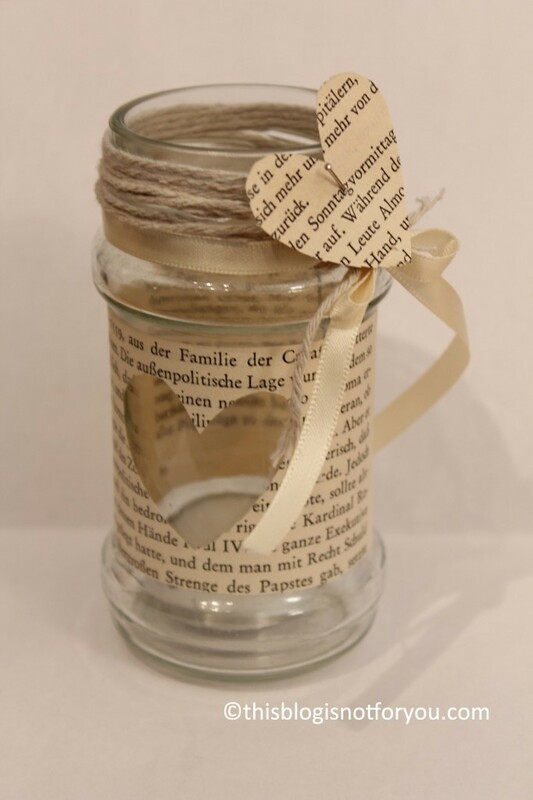 Here’s another one I made from an empty pesto jar and book pages.